Cali Officiants is happy to provide answers to our most frequently asked questions. Of course, if you have a question about our California officiant services and don’t see it here, please contact us and we’ll provide any information you may need! When Do We Need To Book An Officiant? Of course some months are busier than others for weddings, but generally, most couples reach out to us between six and 12 months prior to their wedding for full-scale ceremonies. We recommend that you contact us as early in the planning process as possible to reserve an officiant, as we often sell out for popular Saturday dates months in advance. Of course we’ll accommodate short-term bookings as our schedule allows! Contact us to check availability for your date. What Do You Charge For Your Officiant Services? Our rates are based on which package you select (Full-Scale Wedding or Elopement), and the date, time and location of the wedding. We will gladly provide a complete, accurate price quote as soon as you contact us! We understand many couples are seeking discounts for military personnel, police officers, firefighters, teachers, students and other groups. We offer our very best price to every couple who hires us, although we do not have specific discounts for any individual couple or group. When you move forward with being matched with a California officiant, we’ll send you a digital contract and will place a courtesy hold on your date for 10 days, giving you time to speak personally with the officiant before signing. Our payment terms are very simple: for full-scale weddings, we collect a minimum 50% deposit at the time of booking, and the balance 30 days before the wedding date. (Of course you have the option to pay in full with the signed contract, but we don’t require it.) 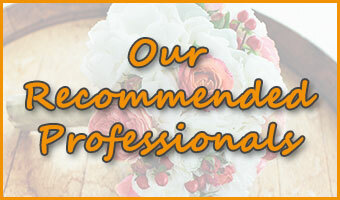 For elopement ceremonies, we collect full payment at the time you hire us. Yes – credit cards actually are the only form of payment we accept! We provide a convenient online booking process so you can sign your contract and make a payment the same day that you speak with your officiant, if you wish! Do You Obtain Our Marriage License For Us? No – In California, both parties to the marriage (you and your fiance(e)) must appear in person to apply in order to get a marriage license in California. For more information on this process, and for the address of several County Clerk’s offices, please visit our California Marriage License Requirements page. Are We Able To Personalize Our Ceremony? This is what Cali Officiants is known for – customized wedding ceremonies that are perfect for each couple we serve! When you hire us for a full-scale wedding, we’ll work with you to create a wedding ceremony that is unique, personal, and just for you! We also offer several options for standardized ceremony scripts for elopement ceremonies, so be sure to check out our California Elopements page for more information. Can You Perform Ceremonies For Couples With Different Religious Backgorunds? Of course! We work with interfaith couples all the time, and our team of experienced, professional wedding officiants have a large library of resources at their fingertips, and can help you create a completely personalized ceremony to honor your beliefs and traditions. Can You Accommodate Our Wist For a Religious / Non-Religious Ceremony? Whether you want a fully religious ceremony, completely secular ceremony, or something in between, all of our officiants are experienced in creating custom ceremonies and any can accommodate your wish. Absolutely.! Our company has performed hundreds of wedding ceremonies for LGBT couples and we proudly support and celebrate marriage equality for all couples. What If I Need To Change My Wedding Date, Time, or Location? We will make every attempt to accommodate the unlikely event of a change in date, time or venue. However, we cannot guarantee our availability, so we encourage you to contact us as soon as possible if you need to make a change so that we can try to find a solution that’s suitable for everyone. Usually we do not attend your rehearsal, since you’re only practicing your entrance and exit and not the actual ceremony itself. If it’s important to you, however, and we have availability, we can issue a separate contract for your rehearsal for an additional fee. Instead, most of the couples who hire us utilize our free Wedding Rehearsal Guide and have their rehearsal directed by a friend or family member. No One Knows This, But We’re Already Legally Married – Is That Okay? Yes, of course! Many couples who hire us (especially military couples) have already legally married, but want to enjoy a more formal ceremony with family and friends. As long as you’re in compliance with local marriage laws and can provide a copy of your legal marriage certificate for verification, we’re happy to work with you to provide the perfect California officiant for your ceremony! All you need to do is complete our contact form, and we’ll get right back to you with a price quote and additional information. My Question Wasn’t Answered Here – What Do I Do? Feel free to contact us directly with any questions you may have about our California officiant services, and we’ll be glad to answer them! You can reach us anytime at info@ceremonyofficiants.com or 800-721-VOWS.